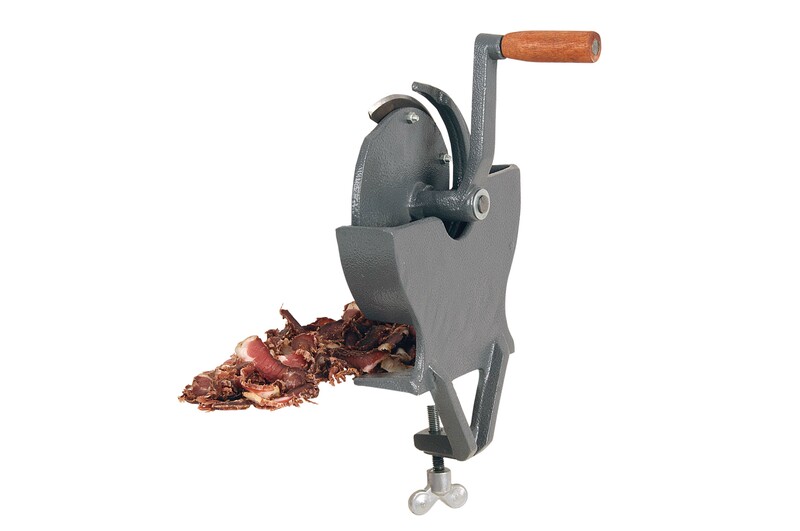 The Claasens Hand Biltong Slicer is the ideal appliance to cut thin 2mm biltong slices! Screw the slicer onto a suitable table top. Place the biltong at the edge of the blade and turn the handle for cutting. Remove the slices from time to time, to prevent build up at the inside of the slicer. After prolonged use, the blade can be sharpened.